Whether you are moving to a new location within the city or relocating to a new city altogether, you need to ascertain that all your things are shifted properly. As there are already many hassles in shifting, you do not want the extra burden of packing things and then transporting them to the new location. It is therefore better to hire professionals for the job. The requirement of a removal company is not just for packing fragile items but also for properly managing the relocation process while you continue with your job or office work. Muscles and Wheels Option: If you simply need some workers and transportation services for your shifting, we can help you out. You can choose our Muscles and Wheels option that provides you the truck that can be used to shift your belongings. Our staff will help you moving your belongings. The option includes manpower and truck for your requirement. Complete Removal Services: A to Z solutions for complete local removal. This option includes manpower, transportation and all the services in between. We at The Box understand that neither you have the time or the patience to dismantle all the things, pack them in boxes and then load them in trucks for transportation. This option is best for those that have other important businesses to take care of while the company for household storage in Qatar dismantles; packs and ships all items. International Relocation: If you are moving to a new country, there are so many things that need to be taken care of. However, you can concentrate on the paper work and other things while we handle the relocation process. You can be assured of high quality services as our staff is thoroughly knowledgeable about international relocation. Office Moving Project: There are too many things involved if you have to shift your office to a new location. While you have to take care of the equipment, documents and other items, you also have to safeguard the data from being lost, stolen or accessed by unauthorized personnel. 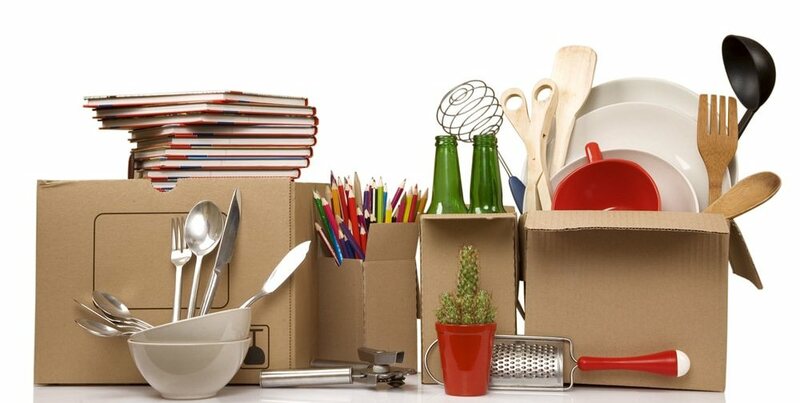 We provide thorough services for office moving and other similar relocation services. Cleaning and painting: One of the essential services that you will need as soon as you shift to a new location is the cleaning and painting. It can be difficult to find reliable personnel for the job in a new city or area. However, you need not worry as we offer reliable and high quality cleaning and painting services as well. You can choose us at The Box not just for our high quality services but for our competitive pricing and truly professional services. We understand that there is too much stress in moving and we simply wish to make things easy for you. Getting a new house and shifting into it is undoubtedly a difficult task, but it can also be an expensive one. There are some expenses that are necessary, which shouldn’t be skimped on. However, there are some costs that can be avoided or reduced to shift in a reasonable budget. Let’s see how. From sourcing packaging materials in Qatar to deciding on a moving company in Qatar, every part of moving should be written down and budgeted for. This includes pre-moving, moving and post moving costs. Make a budget, decide the maximum you’ll spend, and stick to it. 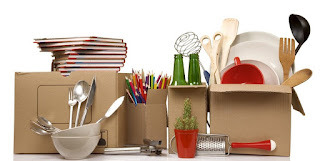 Try to borrow boxes that can be used again later instead of buying them outright. The excitement of moving into a new house may prompt you to try and fill up the space with new, shiny things. 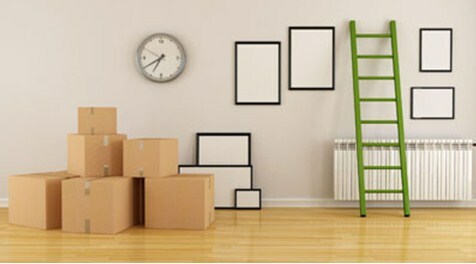 We’ll advise you to wait till you move and unpack completely, so you don’t waste money on things that you already have. If you do buy new stuff, put away the old counterparts in a self storage unit in Qatar if they are in good condition. This will save you both space and money. At first glance, enlisting the help of some friends and moving everything in an SUV or truck may seem like the less expensive option. This option comes with the added risk of breakage and damage to expensive objects, not to mention the time and energy consumed. A good moving company in Qatar can do the job swiftly and professionally, leaving you worry free to focus on your new house. These tips will help you move houses in the least amount of money and have the perfect start to your new accommodation. Art connoisseurs and collectors, this one’s for you. Today we’ll talk about how to store your antique art pieces, especially paintings and ceramics. Your collection is as precious as a loved one, and packing it to be kept in a storage facility in Qatar, or to be moved, needs to be a task undertaken with a lot of thought. 1. Pristine condition: First off, the antiques need to be in the best condition for storage. In case of paintings, this means that they should be dust, oil and moisture free, and the frame needs to be cleaned and polished best suited for the material - wood or metal. 2. Cleaning the antiques: In most cases, it is advisable for experts to handle the cleaning of antiques. Using strong products or equipment can render a valuable painting worthless. Similarly, vases and other ceramics should be cleaned with a very soft brush. You can use distilled water, compressed air or isopropyl alcohol to clean these precious items as other materials may prove to be too harsh. Minimize touching the antiques as the natural oil and sweat on our hands can prove harmful to the antiques. 3. Packing: In case of paintings, wrap them in soft muslin cloth and pack it with a lot of cushioning. Make sure that the entire painting is covered with no exposed parts. In case of ceramics, wrap them in multiple layers of paper, cloth and bubble wrap before transporting them. Use a delicate wrapping material as a rough can damage the piece or its patina. 4. Transport: You can either keep the packed antiques at your home, or keep them in storage units in Qatar. Use professional moving services to transport your antiques to the desired location or the self storage unit. 5. Maintenance: Once the antiques are safely in place, there are a few things you need to keep in mind. The storage space must be dimly lit and sufficiently airy, though not too much. Also look for temperature controlled units that can regulate the temperature to prevent loss of colour, quality and value of the antique. High temperatures can cause paintings to sweat and lose form, while ceramics may start developing faults and defects if subjected to great temperature variations. Once you’ve taken care of all these steps, you can rest assured that your antiques will keep adding value to your life for a long time. All that’s needed is some thought and checking up on them regularly. How to Select a Good Storage Company? A good storage firm is known for offering good services from providing secure storage units with 24 hour access to professional movers who’d help the customer at every stage of moving process. 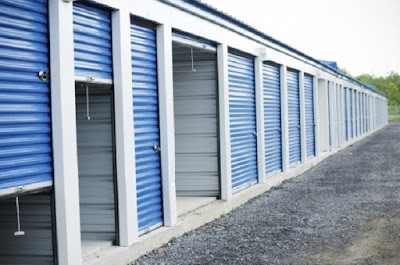 Here are some indicators of a reliable storage firm. A good storage company is reliable and trusted. Its storage units are installed with advanced technology and human assistance to ensure complete security of customers’ items. 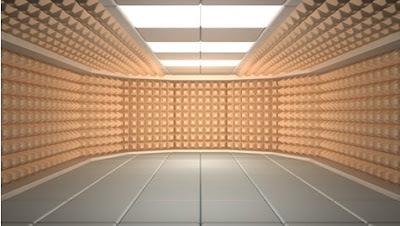 Therefore, any signals alluding to cavities or holes, dirt, termite or rat infestations in and around the storage units should be considered as signs of staying away from such storage facilities. Loading docks, parking facilities, adequate lights, safety precautions and professional movers and packers together make a storage company trustworthy and reliable. If a storage company shows a high occupancy rate (large number of tenants using its services) then it indicates it is a good storage company. It is obvious that no one would want to rely on a storage company that lacks good infrastructure, security, enough space, professional and trusted team of movers and packers and a credible record in the past. Contact our Moving Company Qatar for the best storage and moving services. 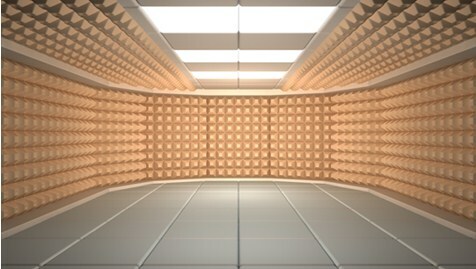 There are many kinds of storage facilities that cater to diverse storage needs of customers. After all, not every tenant or customer will expect the same kind of storage offering. This diversity in customer needs makes way for different types of storage solutions that vary in price and convenience. From all of the above, moving storage services are usually the most expensive. However, they score full marks when it comes to providing utmost convenience. Moving storage services are absolutely safe. Moreover, moving professionals will do all the work on the big day so that you can rest all along. 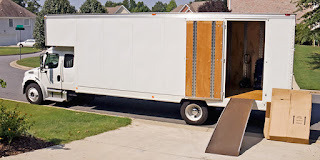 Moving companies usually have their own moving trucks and containers for which they may demand a lot of money. However, you can be rest assured that your things are in good hands and will be packed and moved safely to the desired destination. Now that you know the different kinds of storage facilities you can hire and which one is the most convenient, go ahead and make an informed decision. In any case, make sure that the storage and moving company is a trusted and verified entity. Contact our professional team of movers In Qatar for quick yet comprehensive storage and moving assistance. How to Ensure a Stress-Free Packaging and Moving Process? Hassle-free moving and packaging is possible if you follow these simple tips as mentioned in this article. You may find this irrelevant but you will be delighted with the efficient results this particular activity gives. Start with making your every family member ready for the moving day, making each of them aware of their roles and responsibilities. Who will ensure that personal and valuable items are not handled by the movers and packers team? Who will ensure proper packaging and moving of furniture? Who will ensure nothing is left behind? Who will ensure the pets don’t get hurt during the moving process? Tip - Keep your kids and pets completely safe by keeping them at a place that is as far away from the packing and moving action as possible. You can ask them to stay at the relative’s home or a trusted friend’s place to avoid injuries. This may sound obvious but is also easily forgotten in the haste of packing other valuable things. Make this task a top priority of your moving inventory checklist. Once finished, allow your professional movers to pack up and move those big electric appliances (carefully) all the way to your new place. Tip- Unplug any big appliances you look forward to pack and move like refrigerators, freezers and washing machines. Cordon off a section of the room to prevent maneuver of important items like important documents, valuables, medicines and so on by anyone else. Contact our Moving Company Qatar for expert moving services. Storage companies help individuals and businesses to store their belongings in safe storage units, thus preventing the need to buy expensive spaces and occupy commercial space. Now, let us understand the different parameters which can be used to decide on a suitable storage company. The key is to look up or look around for as many storage companies as possible. Once you have your favourites listed down, it’s time to decide on the most favourite by analysing which one scores full marks on the following parameters. Does your storage provider offer secure indoor storage facilities? Indoor storage units are similar to bank locker units. 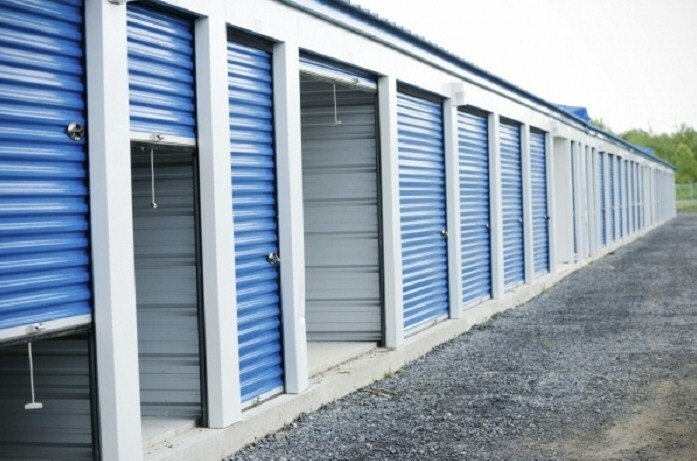 A tenant can rent one or more storage units. If you are looking for a storage unit that can store your vehicle like a car or yacht then it is important your storage company has roomy and safe outdoor storage units. Items like artworks made with acrylic paints and precious antiques may require special conditions to retain their lustre for a longer period of time. Climate controlled services are best to preserve art works which need special conditions to sustain their original shape and form. They are expensive but offer absolute safety to your valuable belongings. If you are looking for a reliable storage company or one that can help you with a smooth transition in case you are moving then contact our moving company in Qatar. Everyone likes it when he or she gets a value for money deal. Is there any value added deals in storage? Yes, you just need to look for perks offered by storage companies like the ones listed below. If you need to store an RV or other large vehicle, make sure the facility you select has the type of space you want. Some storage lots even provide covered parking for boat storage and RV storage. Most storage facilities provide a range of supportive services and supplies. They usually sell boxes and tape at a minimum but others will also have mattress, sofa, and chair covers for sale as well. Similarly, storage businesses also have dollies and carts they lend or rent to their customers. Whether you purchase boxes and coverings from your public storage facility or not, make sure to enclose your items well to best protect them from weather-related, dust or other damage. The best storage facilities are operated by community minded folks who give back to the communities they serve. Self-storage facilities that offer a discount to seniors, those in the military and other folks who may be more subject to hard financial situations says something about their business philosophy. Facilities that accept deliveries are also an added bonus. If you remember to check for things stated in this article, you will find your perfect storage partner to meet your business or home storage needs. How do you make sure there won’t be any major hassles on the moving day? By knowing and rectifying certain things well in advance. They are as follows. 1. How far is the storage unit? This is an important concern that needs to be addressed before even short listing the various moving and storage companies. If the distance between your current place and storage unit is too far, it will cost you more time and money with regards to petrol, time taken to reach the storage unit and so on. It is always wise to choose the storage and moving company that is near to your current residence. It also makes it easy for you to make frequent visits to ensure your things are stored in good condition and repossess the ones to use whenever needed. Here are some cool tips to ensure your items are well-protected. • Cover the flooring of your storage unit with a tarpaulin sheet to prevent moisture or water damage to your items. • Keep a distance of one inch between your items and from the wall to prevent mould formation. How To Handle Pets With Care While You Relocate? Moving can be tedious process. And it can get lot more tiresome if you have pets that are allergic to the moving dust and chaos. Here are some tips to help you handle pets with care during the move. It is important that you know the basics of handling your pets with care. For instance, fans do not always help your pets avoid heat. Understand that pets eject heat in a different manner than that of humans. Consider dogs, they eject sweat through their feel. Hence, using fans won’t help. This tells about considering different approaches to keep your pets cool. Now, you may like the idea of keeping a fan around your pet, but if they doze off in front of the fan, the persistent airflow can dehydrate your pet. Instead, you can simply try using cold water towel or letting it munch on cubes of ice. You can do this with periodic evaluation of your pet’s body temperature during the move. In this case you should know the normal body temperatures of the pet you have. For example, a dog’s internal body temperature mustn’t surpass 104 degrees. You can detect signs of restlessness through motions like heavy panting, absence of coordination or dark red tongue. Contact our expert and friendly team of movers and packers in Qatar who will help you organise a hassle-free move. Call us today to discover our reliable and wide range of moving and storage solutions in Qatar.